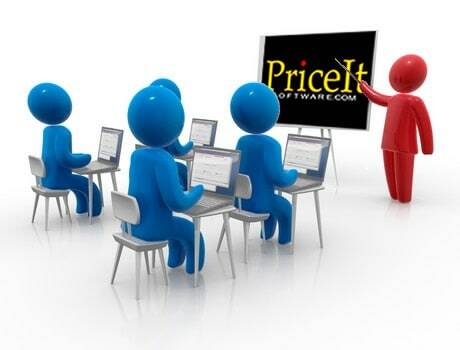 PriceIt Software’s customized on-site training session is tailored to fit your specific shop’s needs. A trainer will come to your shop to train you and your employees. Training typically takes one or two days depending on the size of your shop and the needs of your employees. Training costs are $1500 per day, plus expenses (transportation, hotel, and meals). Contact us for a custom quote.